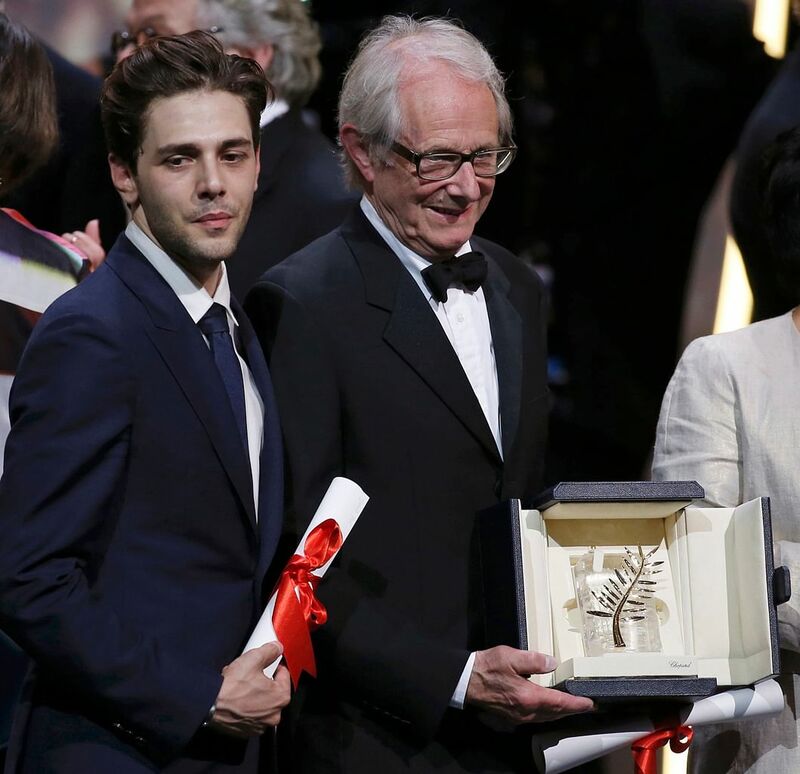 CANNES, FRANCE • British director Ken Loach's top-prize win at the Palme d'Or at Cannes on Sunday marked a major upset at the world's top film festival in favour of the left-wing director, who turns 80 next month. The hilarious and rapturously received German comedy Toni Erdmann by Maren Ade, one of three female directors in competition, had been the favourite to win, when Loach won for his moving drama I, Daniel Blake, about the shame of poverty in austerity-hit Europe. Loach, known for shining a light on the downtrodden, also beat another favourite, Paterson, by United States indie legend Jim Jarmusch, starring Adam Driver as a poetry-writing bus driver. In a big surprise, both Jarmusch and Ade left empty-handed. The director, who won Cannes' top prize exactly 10 years ago for The Wind That Shakes The Barley, now joins an elite club of two-time victors at the French Riviera festival, including Francis Ford Coppola and Emir Kusturica. He slammed welfare cuts across Europe as he accepted the prize from film-maker Mel Gibson. "We are in the grip of a project of austerity driven by ideas that we call neo-liberalism that brought us to near catastrophe," he said. I, Daniel Blake moved many to tears at Cannes, but drew mixed reviews. It tells of carpenter Daniel (Dave Johns) who is denied disability benefits when unable to work through illness. He befriends young mother Katie (Hayley Squires) as they battle with the welfare system. "The most vulnerable people are told their poverty is their own fault," Loach had told reporters during the festival. Variety called it one of his finest films, "a drama of tender devastation... and scalding and moving relevance". "It's about something so much larger than bureaucratic cruelty... It captures a world - our world - in which the opportunity to thrive, or even just survive, is shrinking by the minute." Canadian film-maker Xavier Dolan, 27, won the runner-up Grand Prix award for It's Only The End Of The World, a decision booed by the press, who watched the ceremony in a live feed from a theatre in the same building. "Thank you for feeling the emotion of the film," he said, choking up as the booing continued from critics across the hallway. His hot-tempered family drama features a cast of A-list French stars and was widely panned by critics. Fighting back tears, he said he now felt vindicated. "The fight continues. I will keep making films all my life whether they are loved or not," he said. Britain also claimed the third-place Jury prize, for Andrea Arnold's high-energy American Honey, starring Shia LaBeouf in a tale of disadvantaged young people in the United States selling magazines door-to-door. All three top winners surprised critics. "The jury managed to blindside virtually every punter with their choice of winner," wrote US trade magazine Variety. French film magazine Cahiers du Cinema tweeted that it had been a "lovely competition ruined by a blind jury". The jury, led by Mad Max director George Miller, included directors Arnaud Desplechin and Laszlo Nemes, producer Katayoon Shahabi and a few internationally recognisable names: Kirsten Dunst, Valeria Golino, Mads Mikkelsen, Vanessa Paradis and Donald Sutherland. Filipino star Jaclyn Jose won Best Actress for Brillante Mendoza's Ma' Rosa, playing a tough, low-level drug dealer who peddles dope out of her small Manila store and, with her addict husband, is swept up in police corruption. "She broke my heart," a jury member, French director Desplechin, said, justifying the choice in what was widely seen as a vintage year for female performances. The Best Director prize was, surprisingly, split between Romanian director Cristian Mungiu, for Graduation, about corruption in a post-communist society, and Olivier Assayas, for his supernatural thriller Personal Shopper, starring Kristen Stewart. The director, whose 2011's A Separation won the Best Foreign Language Film Oscar, also scooped the screenplay honours. Houda Benyamina's Divines, about a young French teenage girl from a tough immigrant suburb, got the nod for Best First Film, the Camera d'Or.